The great cycle of the three major Spiritual Festivals begins yet again each spring. Our work here, now will help create the radiant way for humanity's resurrection into the life more abundant, and fully onto the spiritual path. Indeed, mythology all the way from ancient Egypt to the present time speaks of resurrection at the time of the Aries Full Moon. This Aries Full Moon is associated in western civilization with the Christs resurrection from the Cross. We can transpose this symbolism into the broader scope of resurrection as it refers to the return to an original state, by rising. The challenge is to be the Risen One and rise above fear, anger, doubt, pain, loss ... "Be not distracted." To rise and return to our original state, we must surrender and sacrifice the tendencies of our earthly nature to our Divine Essence. We do this with an open heart and through trust and willingness and an expectancy of Divine Union. "My will is Thy Will." 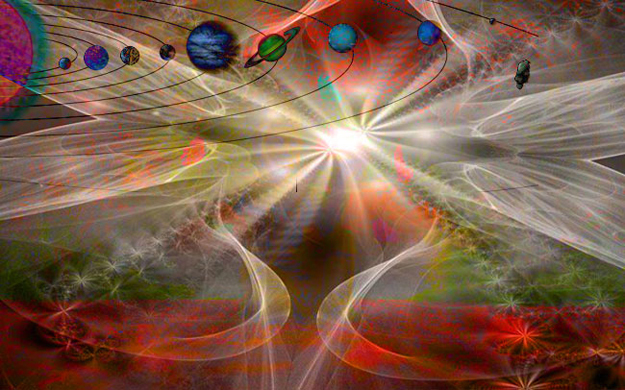 Esoterically resurrection brings a focus on raising the vibration of matter into that of spirit. This spirit is the Christ within all of us, the "hope of glory." It is not about the individual life of even the most well-meaning, for it is only in group and with monadic consciousness that the great "rising" will take place. With the practice of surrendering our earthly nature to the Divine, the greatest good does come forth and we become the Risen One. This Risen One is the Cosmic Christ ~ Divinity, or Spirit ~ and is held in present time as the Coming One. In fact Aries is a point on the Cardinal Cross, the Cross of the Risen One ~ The Cosmic Christ, and thus is closely connected to initiation. The four energies of this Cross govern and direct the soul as it moves forward upon the Path of Initiation. Aries heralds the festival of the Risen, Living Christ, the teacher of humanity and head of the Spiritual Hierarchy ~ the living expression of God's love in each and every one of us. It is up to us to attune with ever greater clarity to the note being sounded ~ to quiet the mind and transmute individual desires that only cause confusion and chaos, into desire for the greatest good of all. We know where we are aligned ... with the Source of all that is. That Source uniquely provides for and cooperates with All who are tuned to Its Note of Life. Have you ever marveled at how a group of 10,000 birds can lift off from a lake as one, without bumping or inhibiting another? Such a miracle is our destiny, the human family will rise as one into the spiritual realm. Passing through the gate they thus alight before the throne of God.